Quang Nam (VNA) – The meeting of finance ministers from the Asia-Pacific Economic Cooperation (APEC) member economies in the framework of the APEC 2017 in Vietnam, will offer a good chance for central Quang Nam province to promote its image to domestic and international friends, a local official has said. 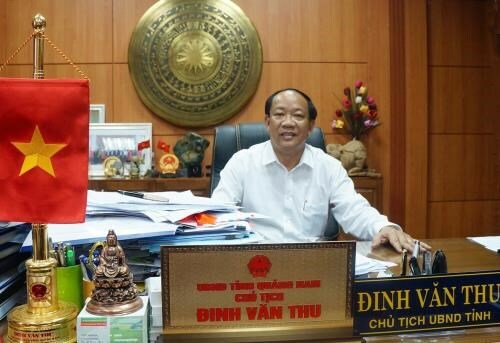 In a recent interview granted to Vietnam News Agency, Chairman of the provincial People’s Committee Dinh Van Thu stressed that Quang Nam is ready for the event, which will take place in Hoi An city from October 19-21 with the participation of over 350 delegates. From last June, officials from the Ministry of Finance and the APEC 2017 Secretariat had working sessions with the province’s leaders and relevant agencies, and made field trips to Hoi An to determine locations for the event and sideline activities. The locality’s representatives also worked with the National Committee on APEC 2017, the APEC 2017 Secretariat and relevant ministries and sectors on the work. Attention was paid to improving infrastructure system, ensuring works relating to logistics, security, health care, food safety and communications serving the event, he said. Thu added that the staff from local hotels and restaurants was provided training courses to better skills in service of international conferences. Local agencies and press outlets have launched communication campaigns to raise public awareness of the event. Regarding the locality’s efforts to foster multilateral foreign relations, Thu said the work was performed in line with the Party’s guidelines, reaping important achievements across economy, politics and culture. Quang Nam established friendship and cooperation with ten localities, including Laos, Cambodia, Thailand, the Republic of Korea, France, and Japan. The locality has also cooperated with diplomatic agencies of foreign countries and international organisations in Vietnam such as the UNESCO, the World Bank, and the Asian Development Bank, and over 70 foreign non-governmental organisations (NGO). The province is now home to 135 valid foreign-invested projects with a registered capital totaling nearly 2 billion USD. It attracted about 40 million USD in official development assistance (ODA) capital and 10 million USD in financial aid from NGOs for projects on infrastructure development, social welfare, and natural disaster adaptation. International cultural events organised in Quang Nam contributed to introducing its potential and strengths for economic and tourism development.